Take a look around the house, what do you see? Are you happy the way your house looks or do you need a new-look? If your answer is yes to both then your in luck to know that we have what you need to start a new living room lifestyle that fits your way of living. We all want the best living room to have for guest and family to enjoy and become comfortable with. But what is it you need to get the makeover you always wanted? Well in most cases people like to start with a fresh coat paint for the walls, while other people start to replace the flooring or carpet. I would like to start with the furniture and appliances. it’s good to rearrange the house and do some spring cleaning but in order to get that brand new fresh look makeover set, it takes change and let’s face it sometimes peoples have a hard time adjusting to change. I believe change can set the tone for a wonderful look that your family and guest will adore for a long time. Have you ever took the time to really examine the furniture you have? noticed the smell or the wear and tear your sofa or love seat has over the years of use and moving? That’s a clear sign it’s time to look for better furniture ideas to check out and buy. Many people struggle with this process because their furniture grows with them throughout the years and it’s hard to replace a good broken in recliner or three piece sectional. But I think it’s a way to find out what do you need for better comfort and high quality style to complement the new-look of your living room. Do You Feel Comfortable And Cozy In With The Furniture You Have? It’s a simple process to figure out, just take a seat and feel it out to see if it gives you maximum amount of comfort. Does your sofa sag or squeak when sitting? Take into account what happens when a family member of love one has trouble sitting or getting out the chair or couch that could give you trouble potentially. In these situations it takes a careful thought process to know what type of furniture you need to fulfill that enjoyment of relaxation. Knowing the difference between coziness and discomfort is vital to the health and well-being of you and your love ones who love to sit back and relax on a plush soft sofa or chair. The last thing you need to hear is how hard it is to sit in a sectional with stains and smells due to over use or years of wear and tear due to parties and animals sitting in these seats you hold to your heart so well. You heard about the lack of sleep people suffer due to sagging beds or discomforting pillows, well the same applies to where you spend the most time reading and watch television. We have the tendency to sit in long periods of time in one place doing things like playing video games, watching TV or playing board games with family members. In this case It is a very important decision to make when choosing what do you really need as far as what type of furniture set has the right type of comfort and style to fit your lifestyle. As we go into this a little further I would like you to take notice of the next steps to building the ideal living room design you have been planning on. Were going to finalize a list of things to start out with to determine which one of these pieces is good for you to start with. Know this in mind you can pick and choose which of these fits your way of style, design and comfort for YOUR own living room needs. It may be hard to choose due to the high quality features and designs you will see but remember it’s what you need first then look for what you want. There are three main questions to ask yourself when shopping for the ideal furniture set. What Is the Price also what type of deal I can get for this furniture? What type of furniture am I looking for? How long will this furniture last? What is the main reason(s) you’re shopping for furniture? What Brands of Furniture Can give you the best style, comfort and need? What Type of Material do you prefer to use for your furniture set? Now that we list out the types of things needed for this ideal set up you would need to find out how much space is need to build your living room space out. This process can already figure it’s self out in some cases due to the previous setting and design outline. But if your looking to expand on this makeover, it may take some remeasuring and proper planning to make sure you have the adequate spacing to match the design layout of this structure. Now it’s time to take a look at some best furniture sets you could use for your living room, please take the time to compare these sets to find out which one of these can help in your situation for a better living room design. In these sets, You can tell that it’s more geared toward the entertainment side of things based on the majority of those who use these types of furniture for home entertainment and reading for coziness. These are just ideas to start out with, you have the choice of knowing what is best for you and your family but it doesn’t hurt to look in different areas for comfort. Home Theater Furniture Ideas For Your Living Room. What a concept to know that you have all the selections covered for comfort, style and need when it comes to new living room makeovers. Think about it, what do you do most often in a living room while your guest or family is settling in? Watch television, play video games, watch movies, or read a book? 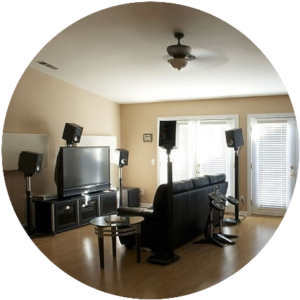 all these things can be solved by taking a look at home theater furniture. Con’s: No ports for charging, No adjustable head rest, doesn’t ship in one piece, some assembly required, Only two color options which is Black and brown. Is This Furniture worth the risk to buy? 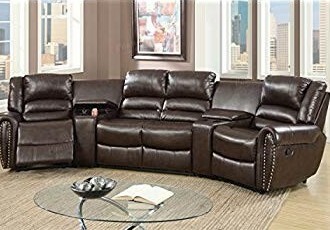 I would say it is even though you may not have all of the bells and whistles I would recommend trying out this 5 piece sectional. This is a good piece to use in your plans for a living room makeover. Pro’s: Plush Microfiber for softer seating, Two Cup Holders, Compartment storage Console, two level action level recliners, Can recline into a flat position. Is This Furniture safe to buy? I would only recommend buying this type of furniture for short term use or get a good warranty. Great comfort and accommodates in storage. Good recliner to relax and sleep in but only for a short period. Best Features: Push button Center fold table down, Powered Adjustable headrest, Hidden Armrest storage Wireless Charging Pod, Two charging ports, And 110 volt outlets with Over head lights, Lighted cup holders, Free tray tables. Con’s: It’s a Power hog which means it consumes a lot of energy, The Cost of delivery and setup is separate. I would highly recommend buying this furniture. It’s the all-in-one setup to your needs for the best living room makeover you need to have for premium home entertainment. As you see these are some choices you can compare to others to get a better idea as to what you want a need for your living room. After reading your article, I now know that having damaged furniture may cause us back issues, sleeplessness, and other stress related problems. If I were to buy one set of couches, I pick “5 Piece Bonded Leather Sofa Sectional Set with Two Center Consoles“. It would really fit my living room and I kind of need a makeover for my living room. I would buy “Home Theater Recliners With Adjustable Powered Head Rest with Centerfold Table down” for my future basement. Anyway, keep dropping that good content. It’s because of readers like you, why I’m dedicated to delivering you with more amazing ideas to use to build a great living room environment with fantastic features and designs. The 5 piece furniture set is only the foundation to the amount of ideas I’m introducing in the next articles, so your in store for some good tools and items to really spice up your living room. Thank you for taking the time to read my article and please visit us again to find out more about this topic. As someone who is always looking for new ways to spruce up the house this article resonated with me. I think changing things up is a great for your home to stay looking fresh. We just recently bought a new entertainment unit and did a massive clean out of our lounge room and the difference is amazing. It wasn’t all that expensive either and it provided the room with a whole new modern look and feel. I think when it comes to couches and recliners it’s important to consider your circumstances as well as what you like – we’d always had soft fabric couches, but the arrival of children and animals made us change our minds on that pretty quickly – now it’s all about surfaces that are easy to vacuum and clean, so we have leather couches everywhere now! They aren’t my preference but it beats looking at stained furniture. When the kids are old enough we’ll replace them with something else probably. 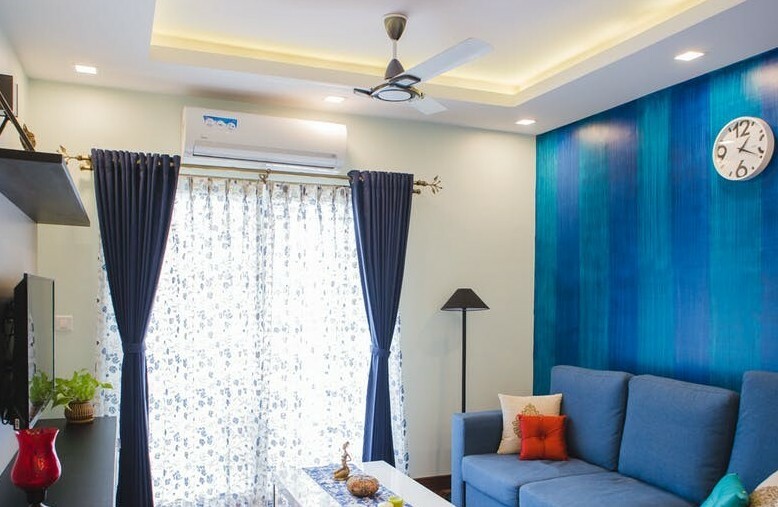 When comes to staying fresh with the times it’s quite difficult making the change to a new way of living with family and pets to accommodate for. You can find alternative ways to make things work in your home by choosing the right type of furniture to withstand the rigors of everyday life though our website. Stay turned, were creating new ideas for this type of situation and more which is still in development. So Please bear with us and please check back with us and find out more interesting items were incorporating fantastic ideas to share with you. Wonderful informative information. Thank you for sharing ideas for a living room make over. My dad and I always rearrange our living room and make furniture changes to build the ideal theatre room. A great comfy coach makes the whole experience a big difference. But our coach is worn (over 20 years old) and so it is time to get a new one. I see you have some suggestions of good coaches but it seems limited. Would be great if you have a whole lot of suggestions. Will you be reviewing more products soon? Thank you Shelly I appreciate the honest comment, I will have more on the way to give a better perspective to finding new ways to change the look of a living room . This is only part one of many featured items to display which I’m excited to introduce. Please visit us again to find out more about this topic in and more very soon. Once again thank you for taking the time to read my article, please feel free to ask me any questions about living room makeovers.